A dog can be a wonderful companion for people living in an apartment. 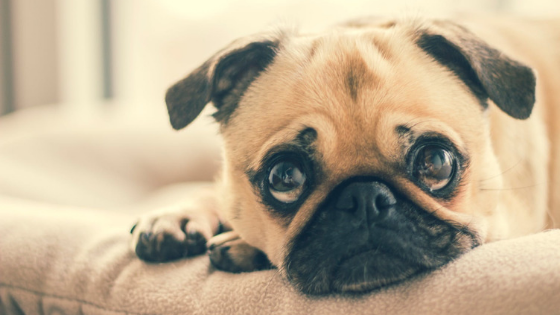 However, there are several considerations that you will want to keep in mind if you plan on keeping your dog in your apartment. Below, we'll take a look at three tips that you can use to ensure that you and your new pet are both healthy and happy living in your apartment. Most dogs can do quite well spending the majority of their time indoors. However, every dog needs the opportunity to go outside and burn off some energy now and then. Taking your dog outside to exercise and play is important for both their physical and emotional well-being. Whether you take your dog to a dog park or you simply take them to the grassy areas outside your apartment, be sure to spend some quality time with your pup playing around outdoors. Since putting in a doggy-door typically isn't an option for those living in an apartment, your dog will be reliant on you to let them outside when nature calls. Training your dog to let you know when they need to go outside is a popular option. However, many dog owners instead choose to teach their dogs to go on a set schedule. For most people living in an apartment, this is the most convenient option. Dogs living in an apartment will be exposed to a lot of new sounds, sights, and smells. For some dogs, this is an adjustment process. To ensure that your dog doesn't launch into a barking fit every time someone walks past your door, it's important to desensitize them to all of these new sights and sounds through proper obedience training. Contrary to popular belief, an apartment can be a wonderful place to raise a dog if you take the right steps to ensure that both you and your pup are happy and healthy together in your new home. At Mockingbird Flats, we welcome new residents of both the two-legged and four-legged variety. If you would like to learn more about our Dallas apartments, we invite you to contact us today.